Pat’s vision and passion for FourStar Branding are emblematic of her approach to life. Pat dreams big, makes things happen, and cares deeply for the people and communities she serves. She leads by example in the truest sense. Aside from inspiring clients and colleagues, Pat’s a devoted hockey mom and civic leader. Kevin’s a word nerd and proud of it. He’s also a proponent of “visual writing,” seeing as he started his career in design. Straddling the fence across art and copy realms, he delivers magnetic brand experiences across all channels. When he’s not putting pen to paper, Kevin’s favorite pursuit is roaming the golf course. From gripping graphics to tantalizing typefaces to luscious layouts, Natalie’s graphic design chops have performed major communications magic for businesses ranging from professional sports leagues to national retailers. Natalie is adventurous and loves to travel and explore the world every chance she gets. 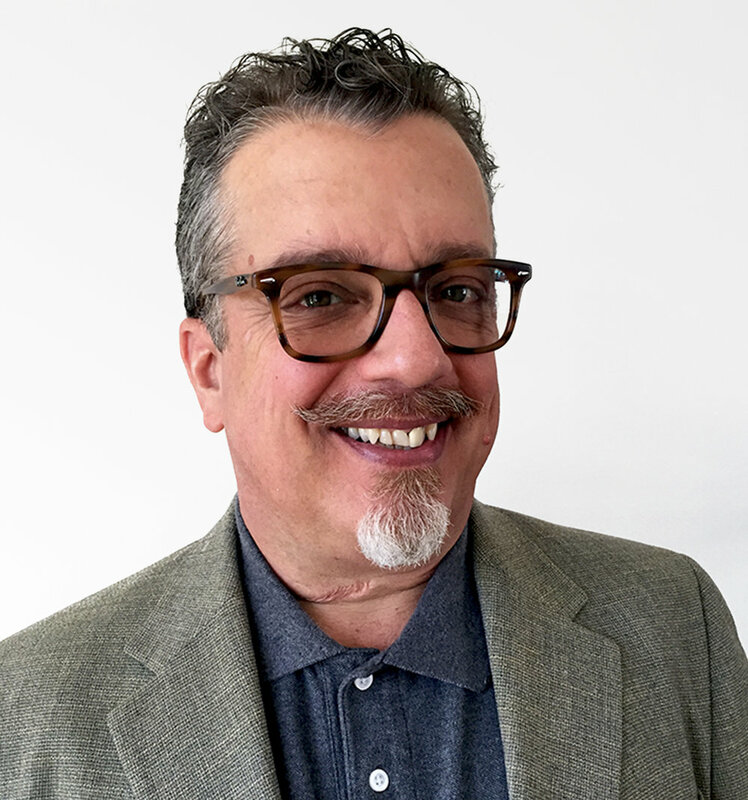 Using data analytics to identify the metrics of digital and print communications, Chris is all about improving marketing campaigns by minimizing Cost Per Acquisition (CPA) and maximizing Return on Investment (ROI). Outside of these passions, Chris enjoys the arts, sailing, fishing, hockey, landscape design and playing poker. Ben is a prominent player in all things social. Whether making an impact on Instagram, launching clickable LinkedIn posts, or firing up Facebook pages, Ben makes sure client campaigns gets effectively noticed on digital media. When he’s not making splashes on social media, Ben soaks up culture wherever it can be found. Champ. The name says it all. Give this dog a bone and he’ll always go the extra mile to bring home a victory. 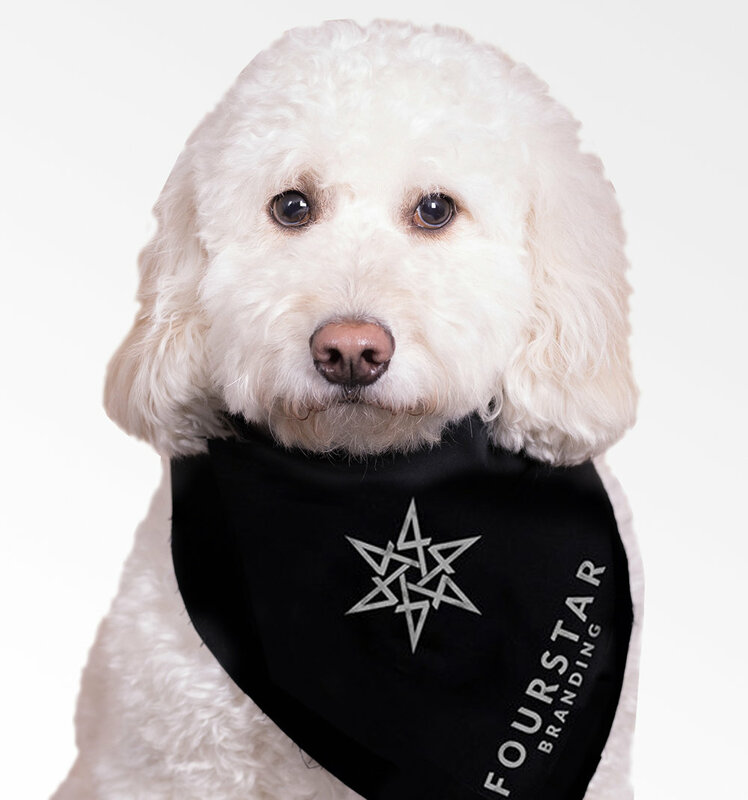 He’s a furry and furrrrious supporter of the collaborative efforts that happen between FourStar Branding and our amazing roster of clients. Champ’s favorites include catch, meeting new people, and lots of treats! TOGETHER - LET'S BUILD YOUR BRAND!